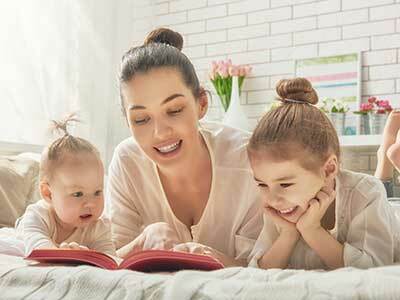 Mother’s Day is quickly approaching and we’re rounded up the BEST books for mom! Whether your mom is crafty, funny, stands up for what she believes in, or binge-watched Big Little Lies in record time, we’ve got you covered. 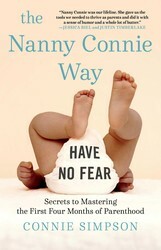 Give your mom a tight hug, a beautifully handwritten card, and a book that she won’t be able to put down! 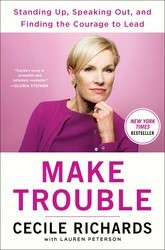 For additional gifts that mom will love, check out this guide. In this lyrical and deeply moving memoir, one of America’s most revered actresses weaves stories of her adventures and travels with her mother, while reflecting on the beautiful spirit that persists even in the face of her mother’s struggle with Alzheimer’s disease. Marcia Gay Harden knew at a young age that her life would be anything but ordinary. 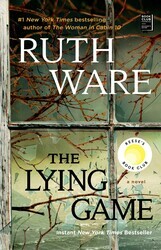 One of five lively children born to two Texas natives—Beverly, a proper Dallas lady, and Thad, a young naval officer—she always had a knack for storytelling, role-playing, and adventure. As a military family, the Hardens moved often, and their travels eventually took them to Yokohama, off the coast of Japan, during the Vietnam War era. A beautifully illustrated book from Cleo Wade—the artist, poet, and speaker who has been called “the Millennial Oprah” by New York Magazine—that offers creative inspiration and life lessons through poetry, mantras, and affirmations, perfect for fans of the bestseller Milk & Honey.True to her hugely popular Instagram account, Cleo Wade brings her moving life lessons to Heart Talk, an inspiring, accessible, and spiritual book of wisdom for the new generation. 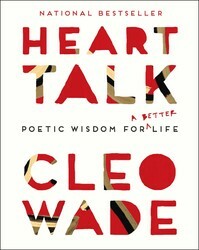 Featuring over one hundred and twenty of Cleo’s original poems, mantras, and affirmations, including fan favorites and never before seen ones, this book is a daily pep talk to keep you feeling empowered and motivated. 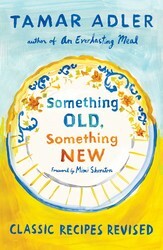 The award-winning, bestselling author of An Everlasting Meal revives and improves classic recipes in a gorgeously illustrated cookbook.With An Everlasting Meal, Tamar Adler advocated for the pleasures of leftovers and the myriad uses of flavorful scraps, providing culinary tips for using food you might ordinarily throw away. In her new cookbook, Something Old, Something New, Adler continues her preservative quest by rekindling classic recipes. There were times past when cooking was careful, important, economical, inspired. Other than occasional kitschy throwbacks, however, like Deviled Eggs or Oysters Rockefeller, many dishes that first excited our palates have disappeared. Beneath their fussy garnishes, gratuitous sauces, and outmoded techniques, Adler unearthed great recipes worth reviving. 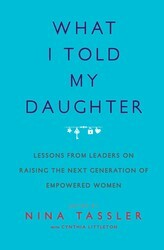 Empower yourself and the latest generation of girls with this collection of inspiring reflections from notable, highly accomplished women in politics, academia, athletics, the arts, and business, including Madeleine Albright, Ruth Bader Ginsburg, and more.In What I Told My Daughter, a powerful, diverse group of women reflect on the best advice and counsel they have given their daughters either by example, throughout their lives, or in character-building, teachable moments between parent and child.s. 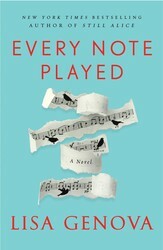 From neuroscientist and New York Times bestselling author of Still Alice comes a powerful exploration of regret, forgiveness, freedom, and what it means to be alive.An accomplished concert pianist, Richard received standing ovations from audiences all over the world in awe of his rare combination of emotional resonance and flawless technique. Every finger of his hands was a finely calibrated instrument, dancing across the keys and striking each note with exacting precision. That was eight months ago. Richard now has ALS, and his entire right arm is paralyzed. His fingers are impotent, still, devoid of possibility. The loss of his hand feels like a death, a loss of true love, a divorce—his divorce. He knows his left arm will go next. 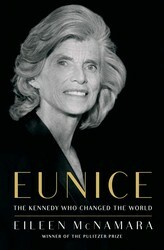 A Pulitzer Prize–winning journalist examines the life and times of Eunice Kennedy Shriver, arguing she left behind the Kennedy family’s most profound political legacy.While Joe Kennedy was grooming his sons for the White House and the Senate, his Stanford-educated daughter Eunice was tapping her father’s fortune and her brothers’ political power to engineer one of the great civil rights movements of our time on behalf of millions of children and adults with intellectual disabilities. Now, in Eunice, Pulitzer Prize winner Eileen McNamara finally brings Eunice Kennedy Shriver out from her brothers’ shadow to show an officious, cigar-smoking, indefatigable woman of unladylike determination and deep compassion born of rage: at the medical establishment that had no answers for her sister Rosemary; at the revered but dismissive father whose vision for his family did not extend beyond his sons; and at the government that failed to deliver on America’s promise of equality. 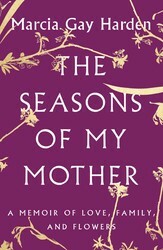 From #1 New York Times bestselling author Lisa See, “one of those special writers capable of delivering both poetry and plot” (The New York Times Book Review), a moving novel about tradition, tea farming, and the bonds between mothers and daughters.In their remote mountain village, Li-yan and her family align their lives around the seasons and the farming of tea. For the Akha people, ensconced in ritual and routine, life goes on as it has for generations—until a stranger appears at the village gate in a jeep, the first automobile any of the villagers has ever seen. The stranger’s arrival marks the first entrance of the modern world in the lives of the Akha people. 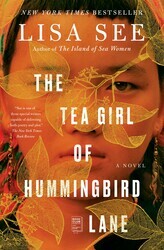 Slowly, Li-yan, one of the few educated girls on her mountain, begins to reject the customs that shaped her early life.